A processor is the basic logic circuitry that drives a computer. A processor performs four major functions that are fetching, decode, execute and writeback. The first processor was launched by Intel named 4004 which was a 4-bit processing unit with 4 data transmission lines in 1971. Today’s market is filled with the various type of microprocessors but what decides the best of them all is their data transmission speed. The ‘Clock Speed’ of a processor decides the performance of your device; it is usually specified in mega or gigahertz. The ‘Hot-Bus Speed’ also known as front-side bus decides the data transfer rate between the processor and the chipset. While purchasing any device, it is important that one should check for the processor because it decides the performance of the device. 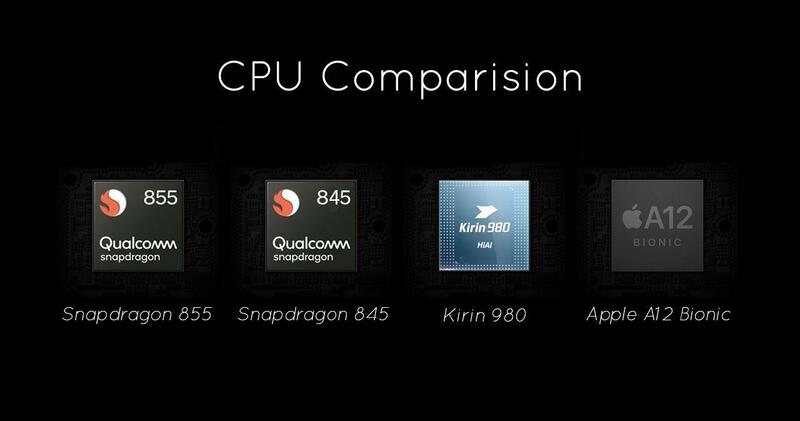 Currently Snapdragon 855, Snapdragon 845, Kirin 980 and Apple A12 Bionic are the best processor for your mobiles. But which one is the best or which processor one should go for depends on various factors that are given below. Snapdragon is subsidy under Qualcomm specialising in System on a Chip (SoC) semiconductor products for mobile. Snapdragon uses ARM RISC instruction set as its CPU. A single SoC houses some sensors such as CPU cores, a graphics processing unit (GPU), a wireless modem, hardware like global positioning system (GPS) camera, gesture recognition and video. A predecessor to SoC 855 was built to deliver users functionality and features enabling them to do even more. The Snapdragon 845 comes with “immersive XR experiences, an intelligent personal assistant and advanced vault-like-security.” It delivers a peak downloading speed up to 1.2 Gbps. The 3rd Gen AI technology makes richer camera, voice, XR and gaming sophisticated. Qualcomm claimed that Snapdragon 845 has an entirely new Secure Processing Unit (SPU) which is designed to protect personal data, also the biometrics which user of authentication is stored in isolation to protect it from outsiders. Snapdragon 845 is engineered for all-day battery life; it allows 50% charge in only 15 minutes. Snapdragon 845 is used in Vivo Nex, OnePlus 6T, Asus Zenfone 5Z and Xiaomi Poco F1. To know more about smartphone and their configuration you can check DevsJournal.com. OnePlus 7 is going to feature Snapdragon 855. Other such phones would be Google Pixel 4, LG G8 and Moto Z4. The company has engaged more than 1,000 senior semiconductor design experts and churning through more than 5,000 engineering prototypes, and thus the final result is around 20 percent speed improvement and 40 percent reduction in power consumption as compared to previous generations of Huawei. 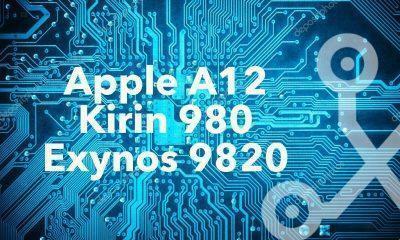 Must, read: Kirin 980 vs Apple A12 vs A12X vs Exynos 9820: Which one is best? Another major upgrade for the Kirin chip is the ‘photography performance’. It uses new dual ISP (image signal processor), which makes it 46 percent faster at camera processing than its predecessor, with related 23 percent improvement in power efficiency while recording while 33 percent improvement in latency. Huawei will power Honor Magic 2, Huawei Mate 20 and Huawei Mate 20 Pro. With the next-generation Neural Engine, it delivers incredible performance. It uses real-time machine learning to transform the way of experience of photos, gaming, augmented reality and much more. 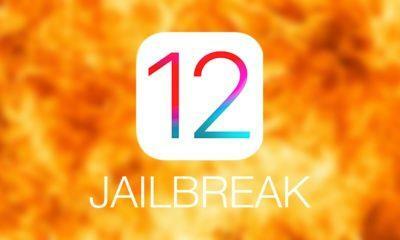 It has 2 performance cores which make it up to 15 percent faster than the A11 Bionic. It also has 4 efficiency cores which help in 50 percent lower power usage than the A11 Bionic. It has a 4-core GPU, and its graphics performance is up to 50 percent faster than A11 Bionic. It has core ML which makes the A12 Bionic run nine times more quickly than last year’s chips. Apple iPhone XS and Apple iPhone X max works on Apple Bionic A12. These four new and strong processors are the currently the best working processor for your mobile devices with unbeatable features and traits. Also, read the Qualcomm Snapdragon 636 vs 660 vs 710 complete comparison article to find out which one is the best Mid-range SOC.